Learn Dalai Lama Karma in Buddhism , Tibetan Astrology, Dough Ball, Dreams, Butter Lamp Divination in Dharamsala ! I became a firm believer of Tibetan astrology, on one rainy day shopping in Dharamsala ! My little daughter was harassing me. She wanted to buy the whole market and as children it seems have automatic 'good karma' you can't do much but lose your temper, which I did, unfortunately on the Shopkeeper and not on her. Beside me was an old chubby smiling monk who told me to be patient. He then started telling me all about the 'little monks' in his monastery and what they did ! 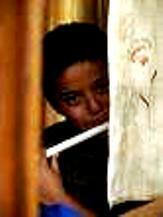 It seems irrespective of what status they have 'a child, always stays a child'. By the end of it we were all laughing including the shopkeeper! When we said 'goodbye' he told me as per Tibetan astrology he had done his 'good karma' for the day by making people around him happy and laughing. So being Happy and making others Laugh..is all Good Karma! Tibetan Astrology and Art of Tibetan Divination..
'Good Karma' explains and almost defines your destiny in Tibetan traditions. Like all other faiths the 'diviner' or the 'medium' can look into your future, assess the situation of your karma and recommend you certain remedial actions by way of traditional rituals. These 'rituals' do not change your karma of the past or present. However by performing a divination the latent positive energy of good karma is awakened which can help your fortune to be better. When performing a divination an individual, or a high lama is relying on the power of a particular deity by whom he has been blessed by his own good karma and religious practice. Some of the deities which help in divination are : Manjushri, Tara and the five Dakhinis. 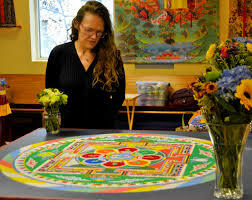 Dough Ball Divination in Tibetan Astrology.. The Dough Ball Divination is practised in monasteries by High Lamas when important decisions have to be made like choosing a reincarnate monk. The names of possible candidates on slips of paper are incased inside the dough balls of equal size and weight. They are kept for three days in the main temple, amidst chanting and prayers. On the fourth day a prominent Lama rolls the dough balls in a flat bowl before the sacred deity untill one of them falls out. That ball will contain the name of the chosen one ! It seems animals have incredible good karmas..nothing they do can ever go wrong. My baby bull 'Barnie' seems blessed whole day grazing on the hill tops, enjoying the winter sunshine and romancing the cows around him. My dogs, on the other hand are busy fighting with the water pipes and barking at the mules who look completely disinterested. It took a child monk's explanation to make me understand the gist of the great 'Bhagavad Gita'. He told me innocently " they know not what they do. 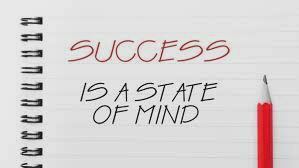 What they do is what they feel they should do without worrying about the consequences and results." 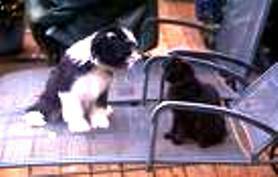 In the Great Indian Epic - 'The Mahabharata' the Dharma War the only one who was awarded 'heaven' in the end was the 'black faithful dog' of the Pandavas. Good Karma has to be measured by the Intention and not by the Result ! 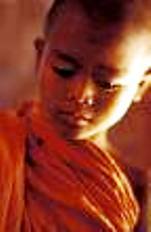 Healing of the Heart in Tibetan Astrology..
Whoever said "the Child is the father of Man", was right. In India, with the Dalai Lama mentoring in Dharamsala, I learnt many things. Years ago I had to leave my son in India for his education, while I was working in Nepal. I once told him I was sorry to leave him behind because of my work in Nepal. He hugged me and told me to forget it, as obviously to him I was doing this because that was the right thing to do ! Such Faith! Such Forgiveness! Tibetan Astrology of Good Karma is always about developing the Heart and making lasting relationships. How many times have we lost precious relationships because we do not assess them according to the circumstances they were in but by what they did. The Human Heart needs 'faith'! How many times have we won all the wars outside and lost that crucial war of bitterness within us, by not being able to forget and forgive! Relationships need to be understood by the Heart and not by the Head ! Rosary Divination in Tibetan Astrology.. The Lama performing the divination will recollect his deity and recite the suitable mantras while defining the fate of the individual. The fingers of each hand move towards each other counting three beads at a time. 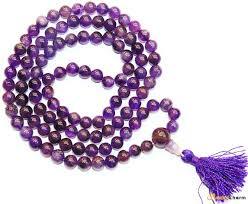 The number of beads left in the end will fortell the fortune of the person. When one bead is left it is called 'falcon' denoting auspicious support of the deity and fulfillment of work. Two beads is called 'raven' denoting inauspicious fate and bad luck. Three beads symbolise a 'snowlion' meaning slow and steady progress with the blessings of the deity. This ritual has to be done three times to complete the fortune-telling. 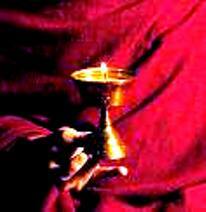 A Butter Lamp Divination in Tibetan Astrology.. The butter lamp used must be faultless and made of gold, silver or any precious stones. Mantras are recited when the question is thought. The lamp is lighted and the shape of the flame is observed.A globular point means safety, a conch shape points to fame, a bright yellow flame predicts no obstacles, a lotus and jewel like flame denotes wealth. The flame separating into two parts reveals separation within the family. Spilling of the melted butter means the length of an undertaking before achievement. 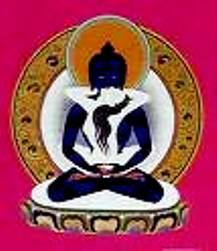 Dream Divination in Tibetan Astrology..
Certain individuals are gifted with clairvoyant dreams. Like other forms of divination, they usually occur as the result of a special relationship with a deity and use either established symbolism that which is particular to the dreamer and easily recognised by him or her. For a practitioner, the following are established symbols of high accomplishment: seeing Buddhas, Bodhisattvas, one's personal deities, and receiving teachings from them; dreaming of being enthroned, putting on a crown, taking a bath, being given vajras and other religious implements are all auspicious symbols. Dreams indicating obstacles created by harmful Spirits: meeting tigers, leopards, cats, dogs, pigs, donkeys, mice, scorpions, weasels, snakes, vultures owls, dwarfs, dark, naked thin people and butchers. In Tibetan Astrology, a Lama would advise that the person should accumulate merit, meditate on emptiness, and perform peaceful fire ritual offerings before resuming any activity he or she was engaging in. Tibetan Astrology of Incidental Signs.. While going on a journey or starting a new enterprise in Tibetan astrology the following would be considered good omens : Meeting elaborately dressed people; pregnant women, cows with their calves, young girls playing together and elephants. 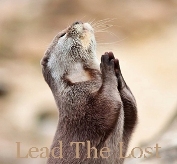 Bad omens are : Losing luggage; meeting wicked, frightful persons or any kind of hindrances. Hearing Divination in Tibetan Astrology.. This type of divination is done in the nomadic areas of Tibet. A piece of juniper is tied to a shoulder blade with wool, white cloth or string. The diviner then places the shoulder blade in the left pocket of his cloak and walks out of his dwelling. The first word he hears outside will indicate the turn of events. 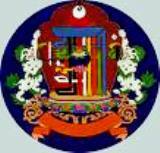 For more on Tibetan Astrology..Go to Tibetan History !! Destiny and Tibetan Astrology of Good Karma..
My fate in earning 'Good Karma' is extremely poor. Everytime my husband and I have an argument he earns all the good points by making me laugh. He tells me all my problems are because of my bad karma in my previous life as I was a dancing girl and was given to him as a reward in a war ! How my karma got linked with that of fighting 'monarchs' is beyond me. But what I do understand is while destiny is all about asking no questions where there are no answers, good karma is all about creating your own personal paradise on Earth..for which you are solely responsible. I hope going through this website will be as much of a journey as Dharamsala will be, to all who come here. A Path of self-discovery..a quiet rejoicing of the self..that eternal blissful moment in time when you have played dice with the God within you, without the fear of losing !! Contact us for your Buddhist Retreat Holidays...! "Be in a relationship where the Need is not more than the Love for a person !" 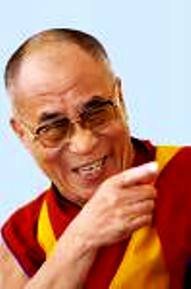 For more on Tibetan Astrology..Go to Dalai Lama-Dharma..! Metaphysics For Better Living -Learning how to naturally combine metaphysics and God into a beautiful way of living.